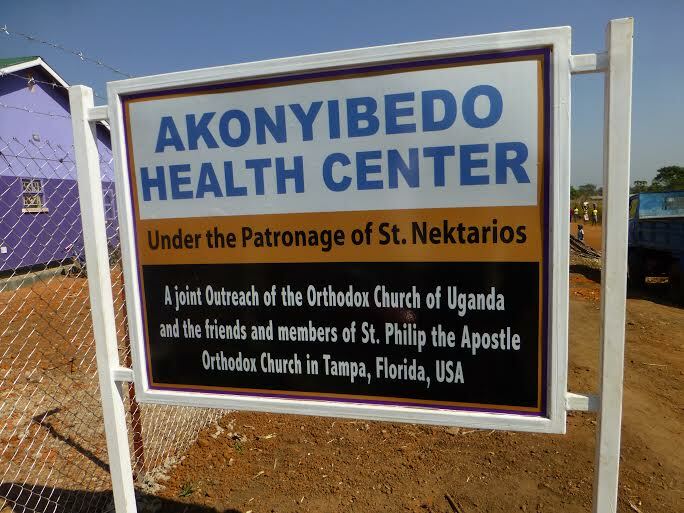 In 2010, Father Joseph Ciarciaglino, founder and pastor of Saint Philip the Apostle parish here, traveled to northern Uganda as part of an Orthodox Christian Missions Center medical team. 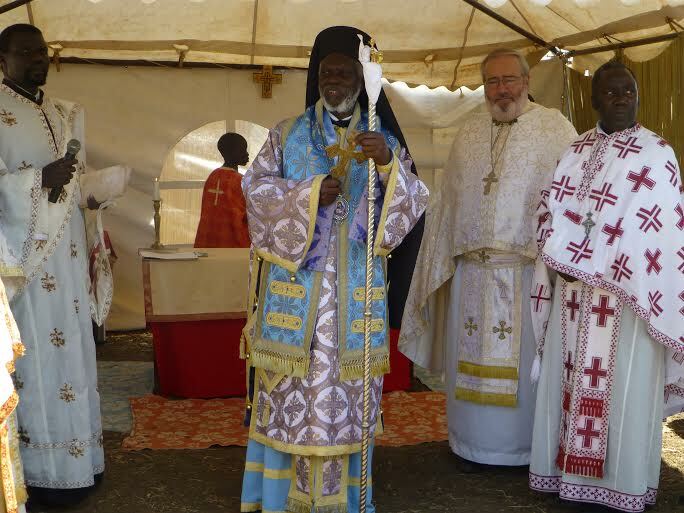 Father Joseph and a northern Ugandan priest, Father George Lokoney, began to discuss their dream of building a medical clinic at Akoneyibedo Village, where Father George serves as pastor of Saint Nectarios parish. Upon Father Joseph’s return to the US, he and a Colorado based nurse/practitioner, Sue Nelson, developed initial plans for a clinic. Father George would oversee construction, while Sue, having led numerous medical mission teams to Uganda, would supply medical advice and Father Joseph would raise the necessary funds. Initial plans for a 1,000 square foot clinic staffed by a registered nurse soon morphed into a 2,200 square foot Level II Health Center with a nurse/midwife and a lab technician. 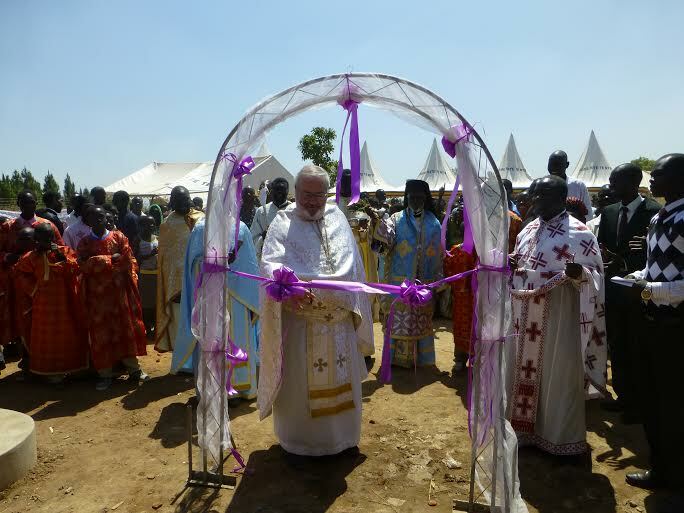 In June 2012 His Eminence, Archbishop Jonah, Metropolitan of All Uganda, gave his blessing to this project and in December of that year, Father Joseph and Sue were present for the ground breaking. Once the hierarchical blessing was received, fund raising began in earnest. Both Father Joseph’s and Sue’s respective parishes have been quite generous. The Orthodox Clergy Brotherhood of Tampa Bay has adopted the Center as its charitable cause, and collections from the pan-Orthodox Lenten Vespers for the past two years have been given for the construction. Father Joseph still practices law, and many of his clients and colleagues have been most generous. The parishioners of Saint Philip Church have pledged to pay the nurse’s salary for two years, and the parishioners of Saint Justin Martyr Church, Jacksonville, FL, have pledged to pay the lab tech’ salary for a similar time. In June 2013, Father Joseph and Sue were again in Uganda to inspect progress on construction, to meet with the Ugandan Ministry of Health, and to interview applicants for the two staff positions. Finally, on January 12, 2014, in conjunctino with the celebration of the hierarchical Divine Liturgy and the blessing of the building, the health center was opened and dedicated to the patronage of Saint Nectarios. 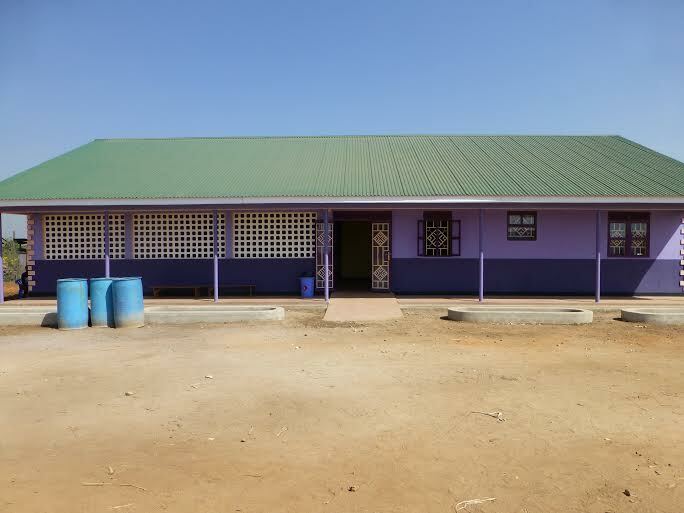 Archbishop Jonah, Fathers George and Joseph, and nurse Sue joined hundreds of regional villagers in giving thanks to God for His grace, by which this health center became a reality. Future plans include installation of a well and solar panels and construction of staff quarters and an antenatal/postnatal facility. For more information on the center visit www.ugandaclinic.org.